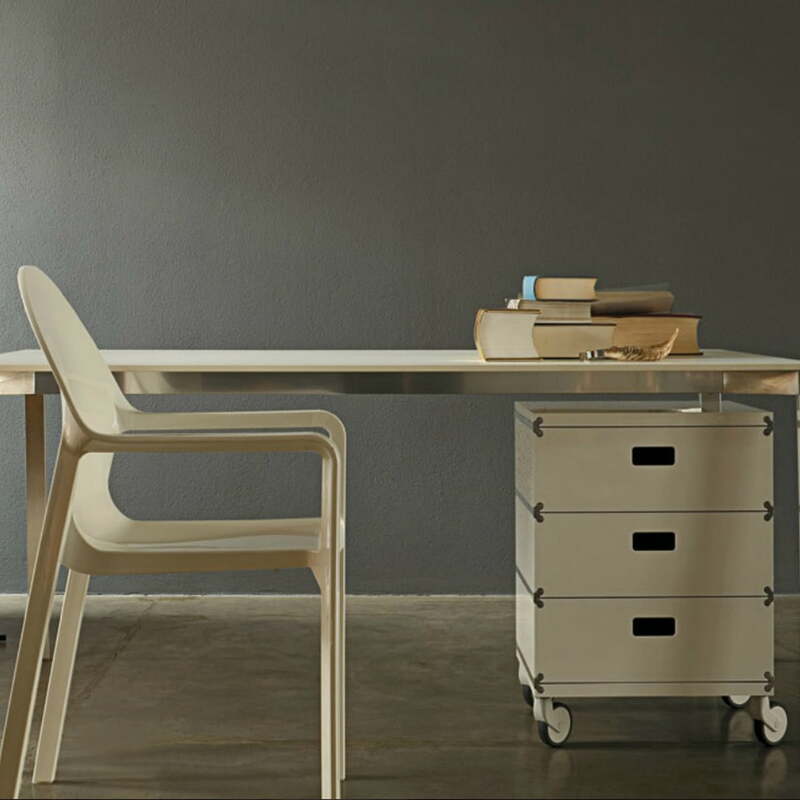 The Plus Unit by Magis is a modular drawers system, which adapts to the demands of the user. 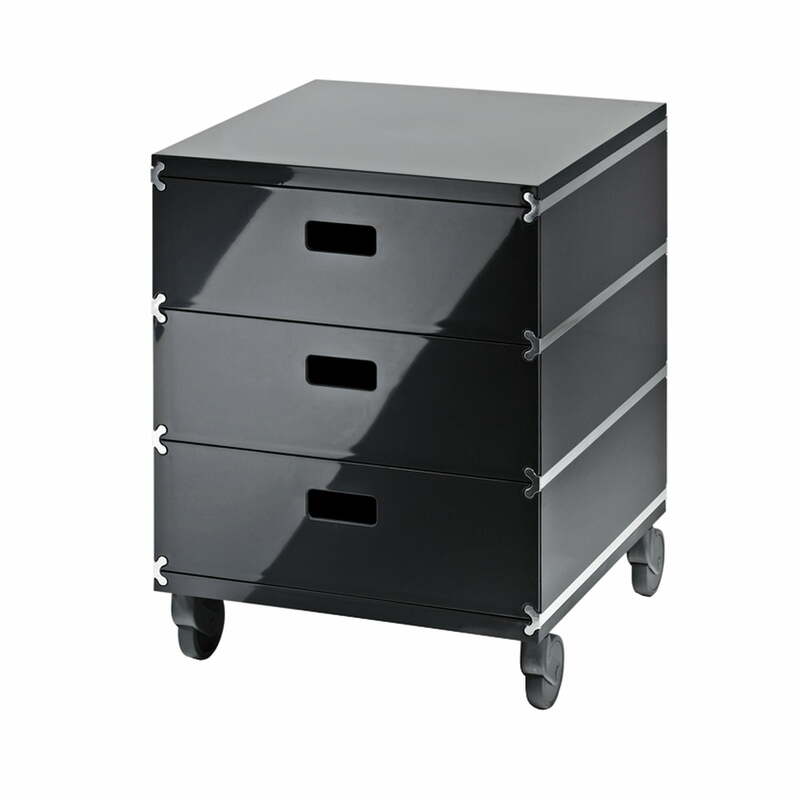 Many combination possibilities make the roll container individual. All the single elements of the Magis Plus Unit are combinable. It doesn’t matter is besides each other or on top of each other – the Plus Unit creates space where it is needed. That’s the reason why the versatile drawers are equally suitable for the office, public rooms of private homes. The Plus Unit modules, designed by Werner Aisslinger were honoured with the Red Dot Award as well as with the Compasso d’Oro because of their usage purpose. Magis produces the Plus Unit system out of robust ABS. The connecting elements out of aluminium have a special plug mechanism out of Teflon, so that combining occurs in an instant. The shape of the connecting elements of the Plus Unit also symbolizes the modular combinability of the storage system. 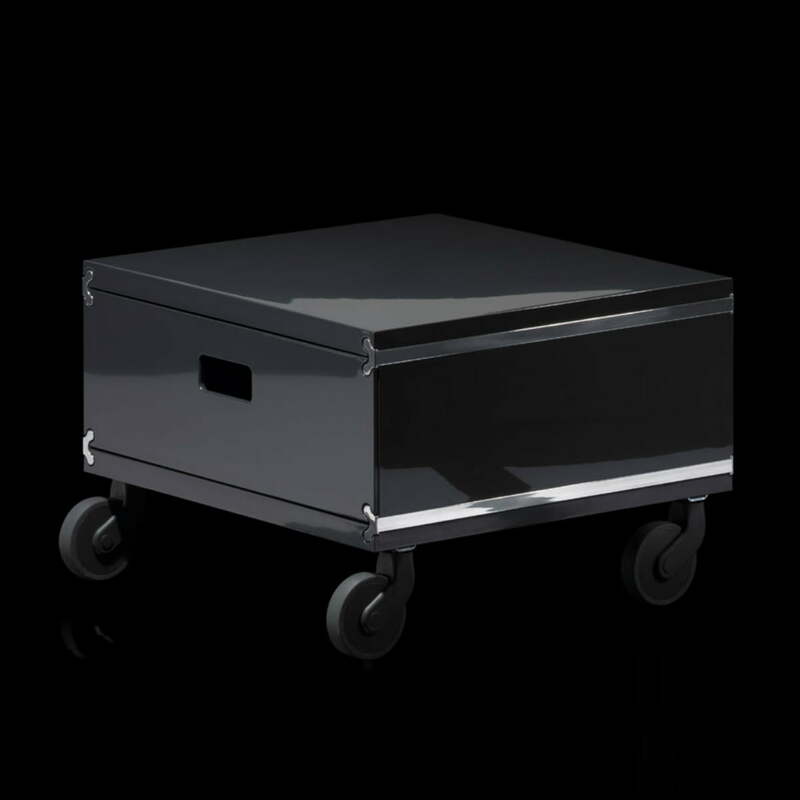 A modular version on feet is also available beside the roll container of the Magis Plus Unit. Both editions are also available in red and white and can be expanded as desired. We will gladly help you when it comes to comply your personal Magis Plus Unit.